Oh, it’s on: The nation’s largest cattle industry lobby group (the U.S. Cattlemen’s Association) recently filed a petition with the Department of Agriculture (USDA) to prevent plant-based protein companies (like Beyond Meat and Impossible Foods) from using the terms “meat” and “beef” to label their products. The increasingly popular Beyond Burger has “Plant-Based Burger Patties” printed in bold, green font on their packaging. Yet, the Cattlemen’s Association presumably takes issue with their company name — Beyond Meat — since it might suggest they’re selling actual animal flesh. 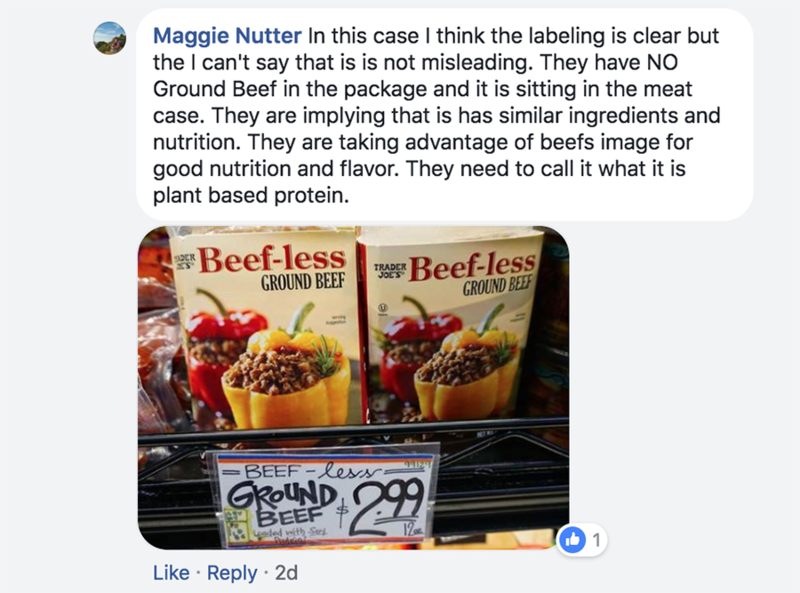 More specifically, though, the Cattlemen’s Association is concerned that consumers are increasingly opting for plant-based protein, because they’re being tricked into thinking plant-based “meat” and “beef” is the real thing — an argument that appears to thoroughly doubt the common sense of American consumers. It’s true that more and more Americans are turning to plant-based proteins, but not because they can’t understand product labels: According to recent data from HealthFocus International, a market research and strategic consulting company, 60 percent of of U.S. consumers claim to be reducing their consumption of meat-based products. Of that 60 percent, 55 percent report that the change toward a predominantly plant-based diet is permanent, while another 22 percent hope that they can maintain it. Considering this trend, Allied Market Research expects that the plant-based industry will garner $5.2 billion in sales by 2020, meaning you can expect more “fake meat” products to hit the shelves over the next couple of years. Even more worrisome for the cattle industry is that other food industry giants are beginning to support these newer companies: Tyson Foods, the largest meat processor in America, currently owns a five percent stake in Beyond Meat — and they recently invested an additional undisclosed amount in the company to take advantage of the growing demand for plant-based protein. And again, there’s little evidence to suggest that people are confused by these labels. 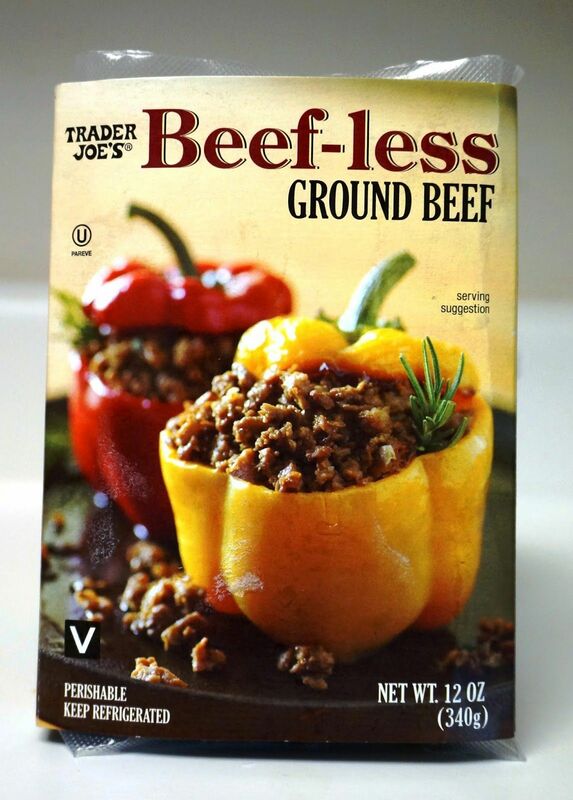 But this isn’t the first time Big Animal Agriculture has attempted (emphasis on attempted) to restrict the language used by smaller plant-based companies. 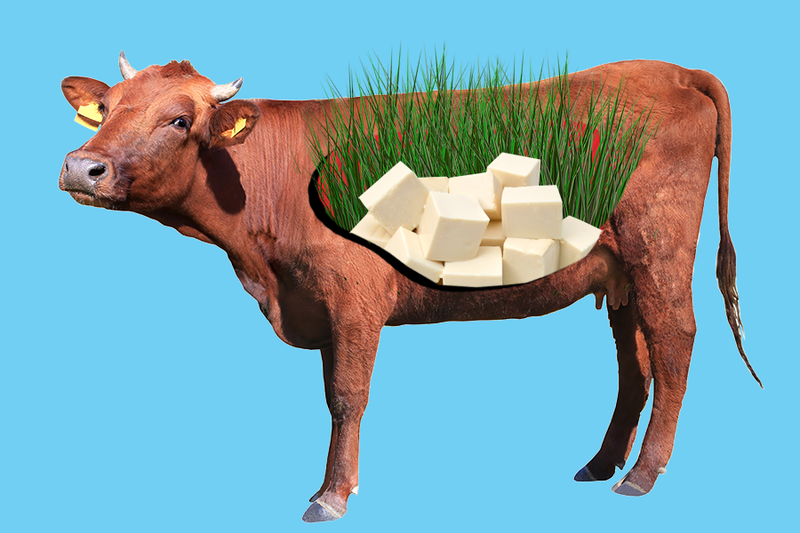 The American dairy industry has been trying to bar plant-based dairy companies from using “milk,” “butter” and “yogurt” for upwards of 20 years — and they’ve yet to come to a consensus. Still, decades of failure hasn’t stopped the dairy industry from continuing to try. They recently helped draft the Dairy Pride Act, which received support from a few congressional lawmakers from dairy-producing states (Wisconsin, California and Minnesota). If the law were to pass, non-dairy products made from nuts, seeds and plants would no longer be labelled with conventional dairy terms. But once again, that’s unlikely: Americans have managed to discern the difference between “milk” and “soy milk” for decades — and unless consumers are truly bewildered, freedom of (commercial) speech will likely continue to protect the use of such terms by plant-based companies. In short, don’t expect to see “Soy Discs®” replace hamburgers on store shelves any time soon.